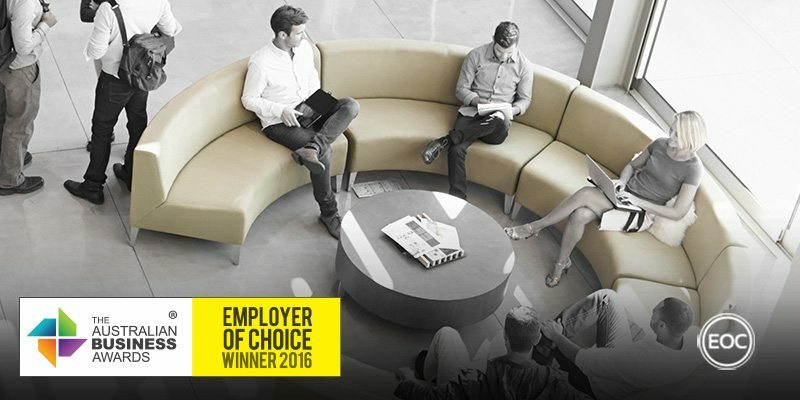 Heritage Bank has been recognised as an Employer of Choice in The Australian Business Awards 2016. Formed in 1981, Heritage is a mutual bank that operates under a constitution controlled by their customers. They live by a people first ethos, aiming to provide customers with superior value as a result of the absence of shareholders. This philosophy extends to their staff, who operate within an office culture predicated on integrity, excellence and community. Heritage have adopted a human resources management strategy that consists of six strategic drivers that focus on developing, maintaining and improving workplace culture and outcomes through employee engagement, development and recognition. Training offered by Heritage is nationally recognised and provides staff with opportunities to complete industry relevant certifications that have a high internal uptake. This has been complimented by an external partnership with The University of Southern Queensland, which provides employees with the option of fast-tracking external tertiary qualifications after attaining a Heritage certification. These development initiatives form a core part of Heritage’s Employment Value Proposition, assisting with employee attraction and retention. Employees are rewarded for their success in developmental endeavours and for workplace excellence, with incentive and commission schemes ensuring that high performance is financially rewarded. Discounts on Heritage products are also available to all staff members and flexible leave arrangements exist to help employees maintain a healthy work-life balance. This commitment to the health and safety of their employees extends to their “Better Me” program, which encompasses initiatives that are aimed to assist staff with their health and wellbeing priorities. Promotions are held throughout the year based on staff health priorities such as heart disease, cancer, diabetes and depression awareness. Heritage understand the importance of continually improving their workplace culture and human resource management strategies, as a result they undergo regular consultation with employees as part of a dedicated improvement cycle that utilises online surveys and focus groups to ensure innovation in HR practices.